Designed for Couples. Ski In / Ski Out. Pillowtop King Bed. Spectacular 60" Samsung HDTV SmartTV, with BluRay DVD. Free WiFi. Free Long Distance. Full Bath. Room on the sofabed for one or two happy kids as well. Dining Table for 4. Wine Cooler, Mini Kitchen. Bagel Toaster. K-Cup Coffee System, complimentary selection of coffees, teas, and hot chocolate. Microwave popcorn, too. Absolutely fantastic mountain and ski trail views. Watch the sunrise every morning. Nothing comparable anywhere in all of Snowshoe. Reserve Now - Snowshoe's most romantic address. 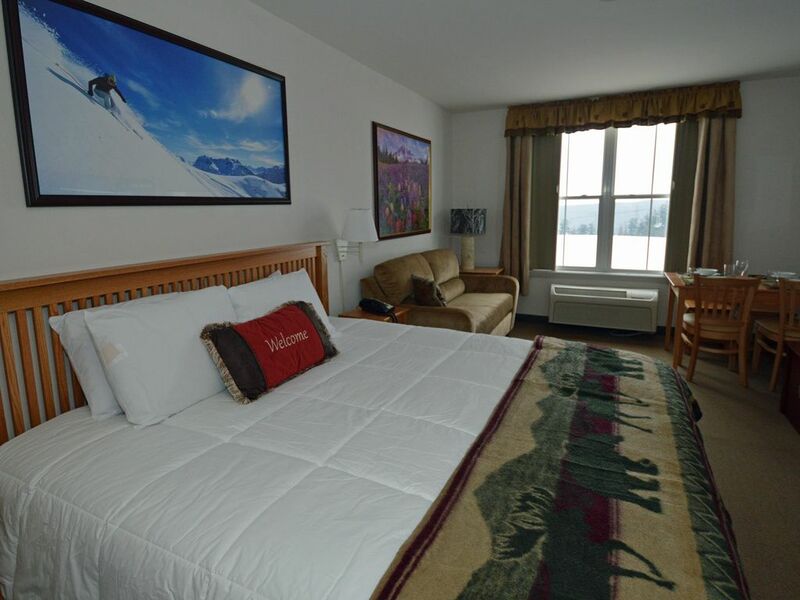 LOCATION: Slopeside, ski view, in Expedition Station, Snowshoe Village. Ski up to the building. Stow your gear in your private ski lockers. Ride the elevator up to an exceptional lodging experience.